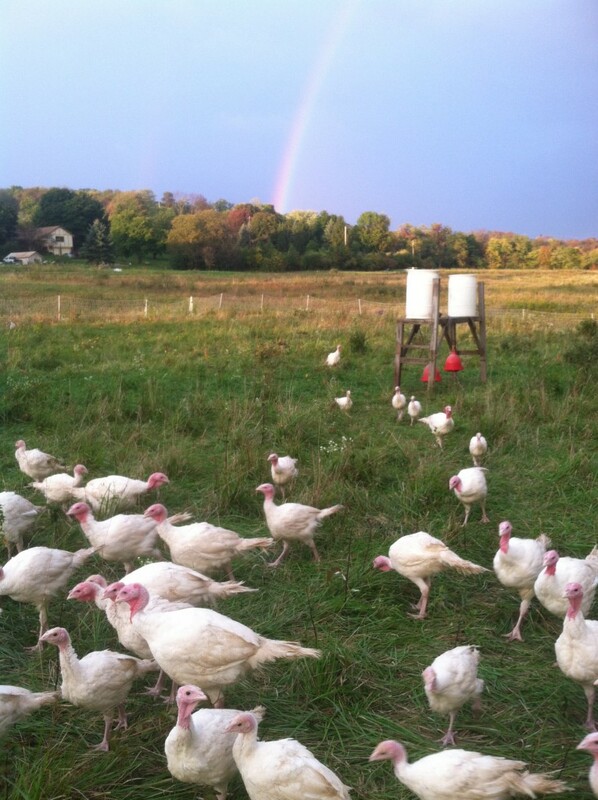 We have a nice flock of turkeys foraging our pastures this fall. These turkeys are lots of fun to watch as they are clipping off grass and forbs and hunting for insects. They are amazing grazers. 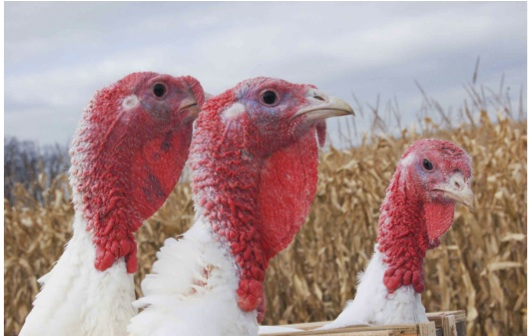 In addition to the pasture, our turkeys are fed a grain ration from a local mill without the addition of any funky additives such as antibiotics or growth enhancers. We raise ours turkeys in 1/2 acre paddocks fenced with poultry netting to keep out predators. While the birds are young, we herd them into a hoop structure to keep them safe at night. As they grow, we no longer try to corral them at night and we move them on to fresh pasture more frequently. We have a few more turkeys not yet spoken for which we will be hand-processing them on Saturday, November 21st for pick-up that weekend. Contact us to order a fresh turkey for your Thanksgiving table. How do we order two turkeys for Thanksgiving? Thank you! We would love to serve one of your turkeys on Wednesday before Thanksgiving for a small family supper (four adults). Can you help with a smallish bird please? I believe we can help. We raised 90 pastured turkeys this year and need tables for a few more of them. The range starts at 12 and ends at 17 pounds.